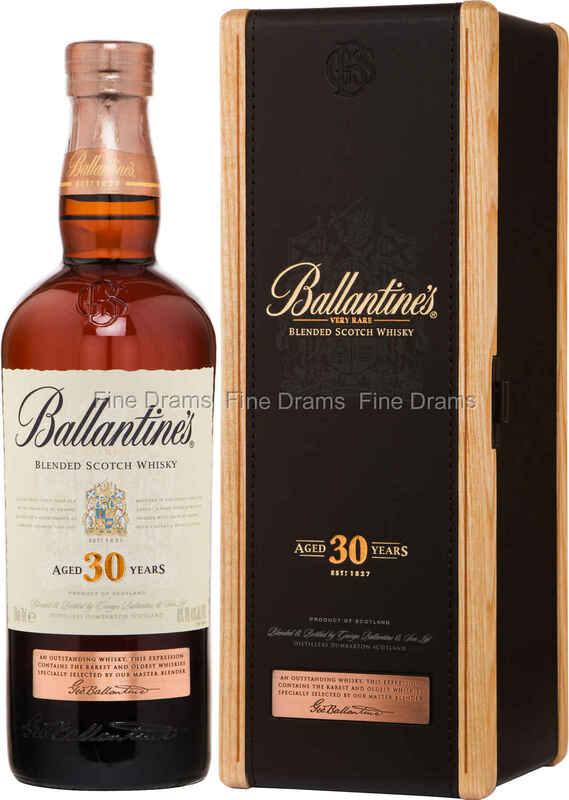 A glorious release from stalwart Scotch whisky blenders, Ballantine’s. This bottling presents their fantastic blended spirit (the product of over 50 different malts and grain whiskies) at an incredible 30 years old. This maturation has created a whisky of outstanding complexity and body. The result is a soft, full and oaky dram. Dense flavours of honey, light smoke, butter, pressed flowers, sherried fruit and citrus rind, preserved fruits and woodspice are all on show. Packaged in a handsome gold accented bottle and box, this is a rare quality of blended whisky.